An accurate selection of reliable producers allows us to provide a large variety of clear and cloudy juices and purees from well-chosen red, yellow and tropical fruits! 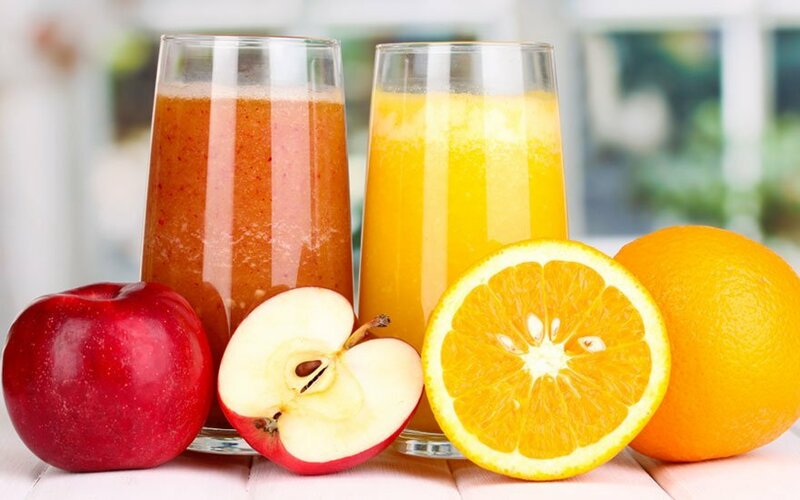 Directly produced from freshly squeezed high-quality fruits that are carefully selected when firm and ripe, the Not-From-Concentrate Juices do not contain water, added sugar or preservatives. During production the only components that are removed are peel, pulp cells and seeds. The extraction process is conceived to best preserve the characteristics of the raw fruit. NFC juices are often gently pasteurized in order to control the microbial load of the juice while maintaining the nutritional benefits. Exactly as fresh juices they are absolutely pure: 100% natural! Concentrates are obtained by the evaporation of water from the fruit juice. The main benefits of producing concentrates are the reduction in weight and volume for transportation and the ability to store them longer since they are generally frozen. They are reconstituted and prepared for consumption by mixing with water or by adding them (without being diluted) to drinks and sweet confections for fruity recipes. Fruit purees are the result of grinded, pressed, and sieved fruits and have a thick, smooth and creamy texture. They retain all of the juice and a large proportion of the fibrous content naturally found in the fruit. Rich in fibers, minerals and vitamins, they are available in seeded or seedless variants. Find the best solution for your special application. Please feel free to contact us! We’ll find the perfect juicy ingredient for you!